Ask anyone to conjure an image of a California beach vacation, and what springs to mind is likely a pleasantly warm breeze, endlessly crashing waves, and a soft expanse of sand, set against a beautiful sunset over the Pacific. The Wyndham Oceanside Pier Resort meets that fantasy, providing luxurious accommodations on a beach location straight out of Hollywood. Guests at the Oceanside have a choice of two accommodations, the standard rooms and the luxury suites. The suites are available in one to four bedroom incarnations. All options are luxuriously furnished, including whirlpool bathtubs. The seventh floor offers a Skyroom and lounge, with beautiful ocean views, and the second floor is home to an outdoor pool so that you can swim in comfort year round. The resort also has a spa, sauna, game room, and free underground parking. Activities are offered year round, ranging from ocean oriented games to wine tasting. The town of Oceanside is conveniently located directly on the Pacific, approximately two hours south of Los Angeles and one hour north of San Diego. It is just north of the larger city of Carlsbad. It is easily accessible by I-5, referred to by locals as "the five," which runs along the California coast here a little over a mile from the ocean, just far enough for the crashing waves to drown out the highway's roar. Oceanside is also accessible by public transportation. A station in the center of the town serves as the terminus for the Los Angeles commuter rail service known as "Metrolink," which runs north on two separate lines: the Inland Empire Line, which runs east to the satellite cities of Riverside and San Bernardino, and the Orange County Line, which runs through Anaheim before arriving in Los Angeles's Union station. The Surfliner service runs south to San Diego. The town of Oceanside is within easy walking distance of the hotel. In addition to the beach outside your window, which might entertain some travelers for weeks, many popular southern California attractions are within an easy day's drive. Disneyland and Universal Studios are in Anaheim and the Los Angeles area to the north. San Diego is also very popular with tourists, with destinations such as the museums of Balboa Park and the USS Midway, an aircraft carrier turned museum on the waterfront. 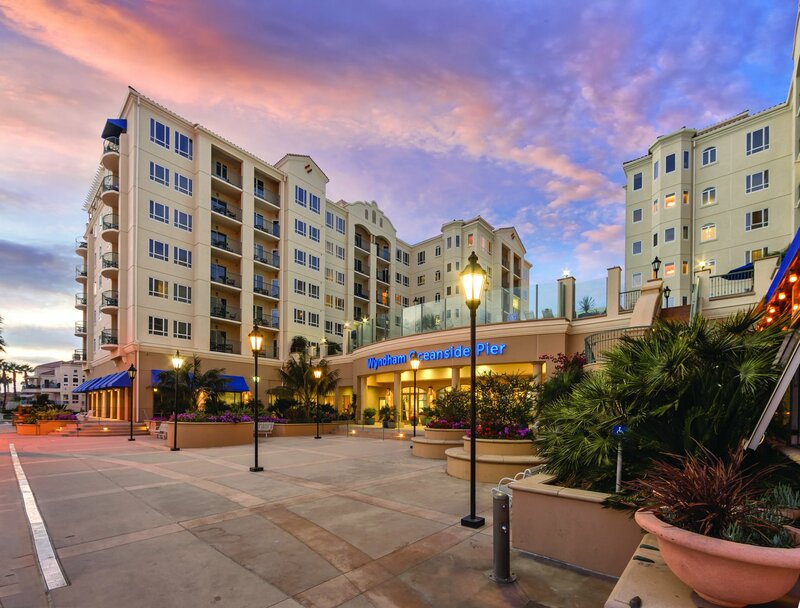 The best way to buy an order title timeshare resale at the Wyndham Oceanside Pier is to purchase an order title fractional ownership. Previous timeshare owners will sell their shares, so you can purchase order title timeshares for sale from the original owner. Because they will be selling it below retail price, you will save money by paying less than you would with the original retail price from the resort. Premier Timeshare Resale's agents can help you buy your own timeshare resale today! They can answer your questions about the process and work out the details so that before you know it, you'll be living that California beach vacation. Looking to sell your current timeshare? Premier Timeshare Resale’s licensed accredited agents will help you get the best current fair market value for your ownership. Contact us and we will gladly answer any questions you may have.